in Indianapolis, give us a call. As a family owned and operated business we are always trying to give back to the greater Indianapolis community and our valued customers! Earlier this summer we ran a promotion for a pair of free tickets to a Cincinnati Reds game! One of the lucky winners was Indianapolis resident Keely Gladieux who previously rented one of our clean and green 15-yard dumpsters for her home project! Keely and Eric attended the Cincinnati Reds game against the St Louis Cardinals last Saturday on Pete Rose Bobble Head day! In addition to taking home a cool souvenir of the “Hit King” they witnessed the Reds take down the Cardinals 5-1 on a gorgeous day to watch baseball. for more upcoming promotions and giving back to our valued customers! You too could be winners just like Indianapolis residents Keely and Eric! Next time your in need of a clean and green dumpster in the Indianapolis area give us a call, we would love to help you out with your next residential or commercial project! Looking for a junk removal alternative? 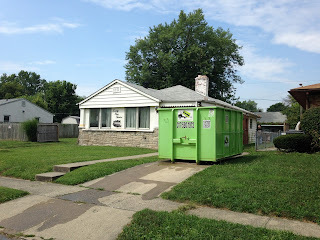 We have the perfect solution to dispose of your unwanted items and junk with one of clean and green dumpster rentals! Take your time and load the dumpster at your own pace! Don’t be rushed to get everything done all at once as you will have up to seven days with your Indianapolis area dumpster rental. 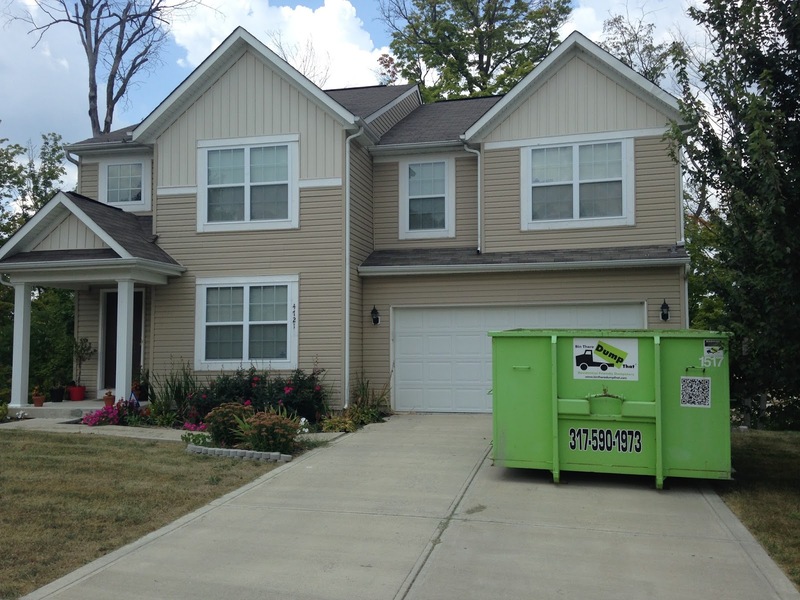 Never have to worry about strangers in your home as one of our trained and uniformed professionals will place the dumpster size of your choice on your property utilizing the industries first driveway protection system! Never worry about scrapes or damage to your driveway as our residential and commercial friendly trucks get in and out of the tightest of spots! Have a large amount of junk to get dispose of? That’s never a problem with our 20-yard dumpster! This convenient size allows ample room to dispose of furniture, mattresses, dressers, beds and other large bulky items! Perhaps you don’t have a lot of junk to remove and want to go with a smaller dumpster? That’s not a problem either as we have dumpsters as small as 4-yards in size to meet your specific needs! So when exploring junk removal alternatives in the greater Indianapolis area give your friends at Bin There Dump That a call at 317-590-1973! We will be more than happy to get you the perfect size bin for your junk and trash removal needs!